Monaco was filled with white flowers for the wedding. Here, on le rocher, a contrast betweenhite Agapanthus and the cannonballs of a bygone era. 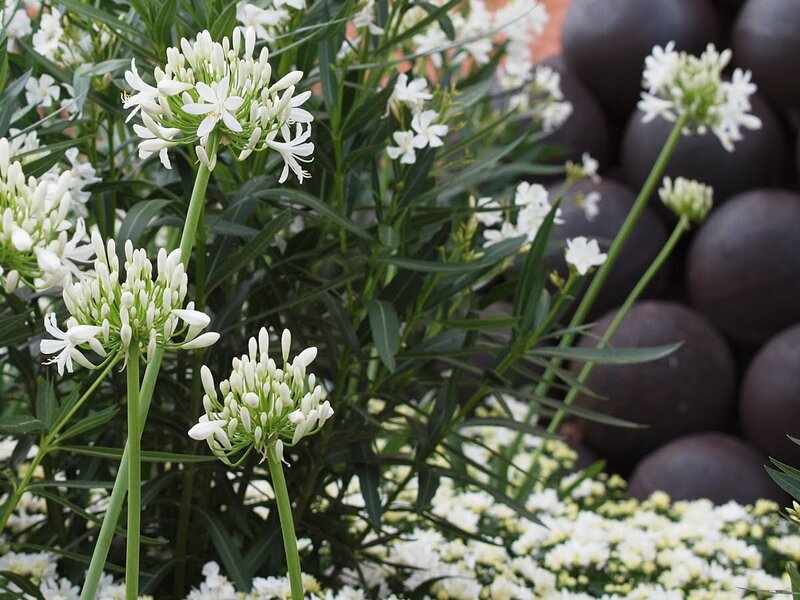 Agapanthus, a bulb from South Africa and therefore fitting for South African Princess Charlene, comes in white or blue - take a look at my garden - HERE. Despite being hardy, they have a delicate look about them.